President Uhuru Kenyatta has offered to visit the dying soccer legend, Joe Kadenge, to fulfill his dying wish. The message was delivered by officials from the Ministry of Sports and Culture, who visited Kadenge at his home. 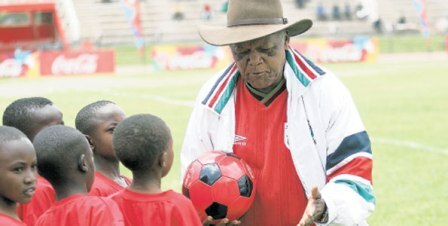 The 80-year old legendary soccer star, who is now battling for his life over diabetes, made an appeal two days ago saying he would wish to meet with retired Presidents Daniel Moi and Mwai Kibaki as well as President Uhuru Kenyatta before he dies, and as it appears, one of his dying wishes may be fulfilled sooner than later.